Hello every one. My name is Toan. I am from Lang Son city Vietnam, I am 22 years old. I do the youth work in the commune. I like music, travel and make friends with people around the world to share about life, the society where I live. I am a new member of Steemit. This is my real account, not fake. Coming to the Steemit network community is completely by chance when reading an article about making money on the internet. They say Steemit can make money and I believe it's true so I decided to sign up for a Steemit account. Come to Steemit I hope to receive your attention and we share the life and society where you live. 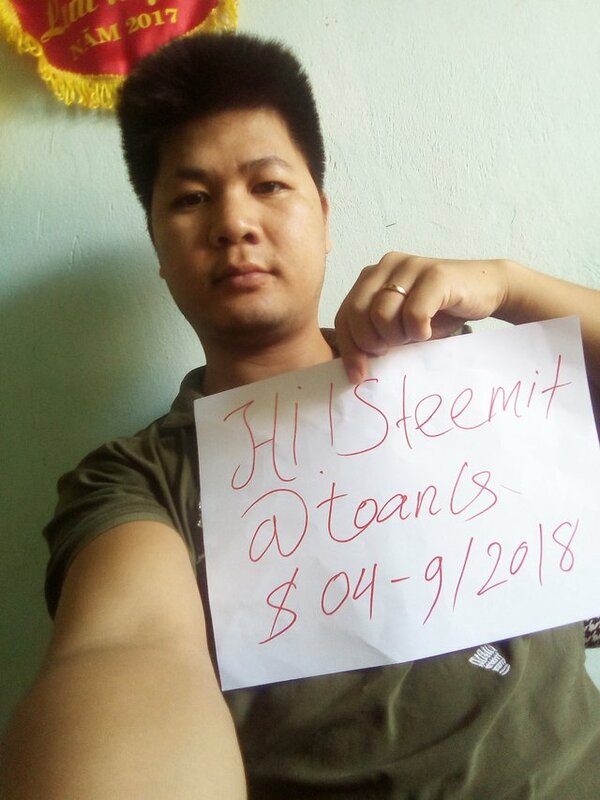 My dream is to be friends with everyone on the Steemit community and share life, social and people together make money on Steemit. The above is all about me, thank you all for reading. Congratulations! This post has been upvoted from the communal account, @minnowsupport, by toanls from the Minnow Support Project. It's a witness project run by aggroed, ausbitbank, teamsteem, someguy123, neoxian, followbtcnews, and netuoso. The goal is to help Steemit grow by supporting Minnows. Please find us at the Peace, Abundance, and Liberty Network (PALnet) Discord Channel. It's a completely public and open space to all members of the Steemit community who voluntarily choose to be there.